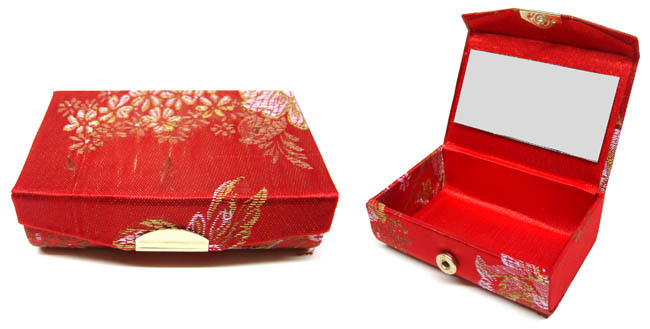 This beautiful jewelry box is decorated with traditional Chinese flower pattern. The jewelry box is covered with satin. It has a mirror inside. Perfect as a gift or use it as a decoration in your home.